Daily Yap, Okay these days it's usually weekly yap! : Yikes. I was working in the yard this morning and I've been coming across some pretty cool looking insects, so I went online to ID some of them and came across this thing. It's a Wasp found in some south western states and South America. 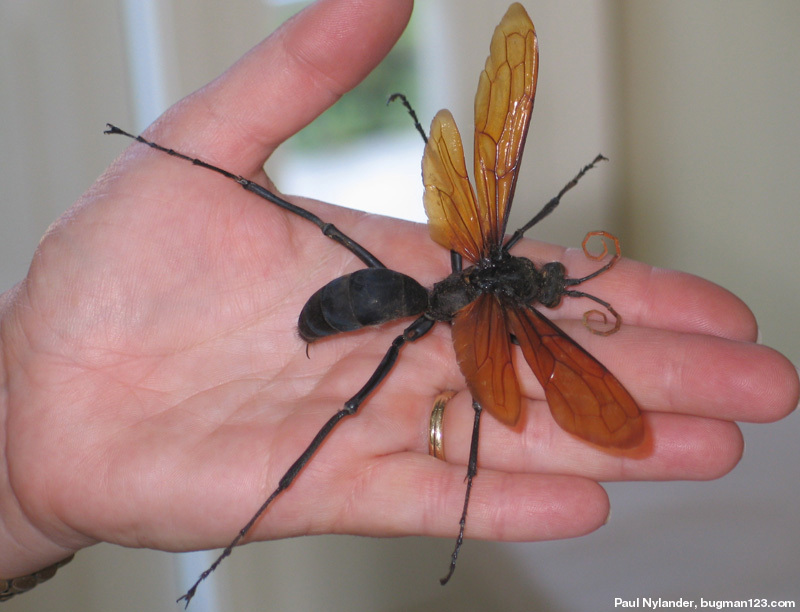 It's called a Tarantula Hawk Wasp. Look at the size of that thing! Paris Goes Back to Jail. Walk the walk; or is that run the run?